Two days later, Abe talked by telephone with the leaders of Russia, Vietnam, Indonesia, Australia, India and Britain one after another. On a world map, these countries, except Britain, are encircling China. China, which is promoting military expansion and advance into the ocean, is intensifying its conflict with Japan over the Senkaku Islands in the East China Sea. An aide to the new prime minister said that talks with the leaders of the six countries were aimed at keeping China in check. Under the previous governments led by the Democratic Party of Japan, Prime Minister Yukio Hatoyama dealt with China from a philosophy of the “East Asian community.” On the other hand, Hatoyama expressed his objections to the Japan-U.S. agreement on the relocation of the U.S. Marine Corps Air Station Futenma in Okinawa Prefecture. As a result, he heightened U.S. distrust of Japan. Subsequent governments, led by Naoto Kan and Yoshihiko Noda, changed the stance and placed importance on the United States. Then, China started to have doubts about Japan's true intentions toward it. In addition, Japan's nationalization of three of the disputed Senkaku Islands worsened Japan-China relations further. Compared with the DPJ-led governments that have varied in their relationship with the United States and China, the Abe Cabinet clearly shows that it will place importance on the United States to keep China in check. However, Abe's approach in taking those positions differ from when he assumed the post of prime minister for the first time in 2006. In those days, Japan-China relations had worsened due to predecessor Junichiro Koizumi’s repeated visits to Yasukuni Shrine in Tokyo, which honors not only war dead but also Class-A war criminals. Because of that, Abe chose China as his first country to visit as prime minister to repair bilateral relations. This time, however, Abe plans the United States to be the first country he visits as prime minister. As Japan has no leeway to make concessions to China in relation to the Senkakus, Abe plans to solidify relations with the United States in order to counter China. To deal with China’s growing military power, Abe will also strengthen Japan’s defense capabilities. He has already ordered new Defense Minister Itsunori Onodera to review defense policies taken by the DPJ-led governments, including the National Defense Program Outline. The defense budget for the next fiscal year that starts in April 2013 is likely to increase for the first time in 11 years. Abe also ordered Onodera to review guidelines on the Japan-U.S. defense cooperation, which stipulate how the Japanese Self-Defense Forces and U.S. forces cooperate. The Defense Ministry will conduct the review, which is expected to focus on how to deal with China. The point of the review is whether to approve the exercise of the right to collective self-defense, which allows Japan to launch counterattacks when U.S. forces are attacked. The Japanese government has banned the exercise of the right based on the interpretation of the Constitution. However, Abe said in his Dec. 26 inauguration news conference that he will consider exercising the right. “If the exercise of the right is approved, the contents of the review of the (Japan-U.S. defense cooperation) guidelines will change dramatically,” he said. DPJ-led governments advocated that politicians take a larger leadership role in governing the country. However, they eventually showed the weak leadership present in the prime minister’s office. In the Hatoyama Cabinet, for example, opinions of ministers were divided on the transfer of the Futenma air station. A defense minister called himself an “amateur” on defense issues. Another defense minister also had difficulties in answering defense-related questions in the Diet. Opposition lawmakers were critical of the prime minister for appointing them. Abe intends to implement diplomatic and security policies under the initiative of the prime minister’s office. Because of that, he has gathered a collection of right-hand men, including not only lawmakers but also bureaucrats and experts, around himself. Abe appointed his aide, Chief Cabinet Secretary Yoshihide Suga, to the newly established post in charge of strengthening national security. On Dec. 28, Suga told families of North Korean abduction victims that the prime minister’s office will take the initiative in negotiations with North Korea. “We can get the information of all of the ministries and agencies. We will do our best,” Suga said. Waseda University professor Shotaro Yachi, who is serving as an adviser in the Cabinet Secretariat, also gave advice to Abe when Abe was the prime minister from 2006 to 2007. At that time, Yachi was a vice foreign minister. 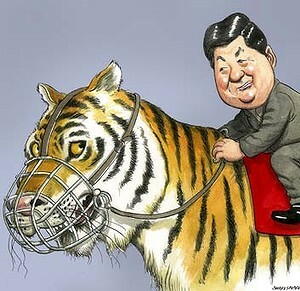 Abe’s view that Japan-China relationship is the biggest challenge of the 21st century for Japan is Yachi’s pet theory. Abe also handpicked Nobukatsu Kanehara, former chief of the Foreign Ministry’s International Legal Affairs Bureau, as an assistant to the deputy chief Cabinet secretary. In Abe's first stint as prime minister, Kanehara was deeply involved in the government’s key diplomatic strategy, “Arc of freedom and prosperity,” a concept that supports economic development and a shift to democratic governments in regions from Eastern Europe to Southeast Asia. However, the current Abe administration is facing a deadlock in the Senkaku crisis. In China, the government and the military are standing side by side under the Communist Party. Therefore, even if Japan urges the Chinese government through diplomatic channels to ease tensions, it faces difficultly in influencing the military to go along. At present, the Japan Coast Guard is dealing with Chinese marine surveillance and other vessels’ intrusions into Japanese territorial waters. The Air Self-Defense Force is coping with Chinese aircraft's approaches to the air space around the Senkakus. Close cooperation among the ministries and agencies concerned is necessary. To promote cooperation under the initiative of the prime minister’s office, Abe advocated the establishment of the national security council as the commanding organization. In the council, a small number of Cabinet members make flexible judgments depending on themes. In Abe's first term as prime minister, the government submitted related bills to the Diet. China has had a rough year with an international media that are in Woodward-and-Bernstein mode. They are following the money. This week’s Bloomberg News expose on the so-called Eight Immortals is a case in point. Building on a June article tracing the accumulated wealth of the family of Xi Jinping, China’s next president, it described the vast fortunes being amassed by the offspring of the founding fathers who were instrumental in Mao Zedong’s rise to power in 1949. Mao changed the world by meeting US President Richard Nixon, and Immortals such as Deng Xiaoping engineered the economic boom that has unfolded since then. Now, the tactics of the journalistic duo that brought down Nixon, Bob Woodward and Carl Bernstein, are helping to unearth the rot that has taken hold in Deng’s vision for his people. Deng’s plan, and that of China’s other Immortals, was to cement the Communist Party’s rule by boosting living standards. And it succeeded wildly, lifting some 600 million people out of poverty and putting China on a growth path that may allow the country’s economy to surpass the United States’ in 15 years or so. What the Immortals hadn’t counted on was how their children would foul things up. By harnessing the trust of the state and top-level political connections, these princelings are reaping outsized benefits from China’s growth. It is an outcome that would shock Deng: After 30 years of explosive growth, opening markets and reducing poverty, inequality levels now echo the pre-Communist era. One of modern history’s greatest wealth grabs isn’t just exacerbating the rich-poor divide but delaying the reforms needed to roll back the state control that masks underlying economic inefficiency. There is lots of money in the status quo — an unfathomable amount in fact. Just three of the Immortals’ dozens of children and their spouses, among them Deng’s son-in-law and the son of Mao’s economic czar, founded or run companies with combined assets of $1.6 trillion as of last year. That is equivalent to almost a fifth of China’s gross domestic product. More than a third of the Immortals’ children and their spouses hold top positions in state-owned enterprises. And then there’s princeling Xi, who will run China for the next 10 years and have the final say over whether his pledge to root out corruption is real or hollow rhetoric. Bloomberg documented how his family accumulated a fortune estimated at $376 million. The New York Times also had a busy year following the money and connecting the financial dots. The Times reported that the family of current Premier Wen Jiabao has made billions of dollars during his tenure. That’s quite a blow to the carefully honed image of the modest and simple “Grandpa Wen” of the people. The government’s response has been indignation. It accused the Times, for example, of harboring political motives to destabilize the regime. Yet China has a growing corruption problem on its hands, one that must be addressed in a transparent manner. When you peruse many of the reader responses to foreign press reports about Chinese graft, conspiracy theories abound: The Western media want to undermine China’s rise and is doing the bidding of officials in Washington and Tokyo. That, of course, is silly. Only a fool would hope for a crash in the world’s No. 2 economy and for 1.3 billion people to struggle to find enough to eat. Global economics isn’t a zero-sum game. When hundreds of millions of people get rich, that will benefit all of us, whether you work for Rolex, Nike or Toyota Motor. The sad truth is that hundreds of millions of Chinese aren’t rolling in yuan the way Deng might have hoped. It’s getting harder to hide that reality from China’s masses and that poses a growing threat to the Communist Party. Closing international-media websites, as China does at the sight of an unflattering article, can’t hide the internal decay as wealth becomes more and more concentrated. The Bo Xilai scandal started well enough for the party leaders. At first, it seemed an efficient way to purge a Chongqing politician who forgot his place. Bo’s charisma and glowing media coverage of his populist “Chongqing model” of development ran afoul of many in power. They lost control of the narrative when it became about the enormous wealth that Bo’s extended family had accumulated. The Bo saga put the international media on the case as rarely before. Average Chinese, too, are proving to be worthy adversaries for the Communist Party’s army of Internet censors. Blocking Google and social networking sites have not silenced the masses. No industrializing economy has ever avoided a crash and neither will China. Possible catalysts include pollution and surging living costs. Yet the one that China’s leaders are probably most loath to confront is the sight of Communist Party officials becoming modern-day Rockefellers and Vanderbilts. It surely never occurred to Deng that finding wealth would be China’s undoing. When you follow the money, it’s hard to conclude otherwise. THE sudden disappearance of social activist Sombath Somphone has set Laos on edge. Rumours abound that he has been spotted alive. Perhaps he will call. Perhaps there is some explanation, however outrageous, for his disappearance on the evening of Dec 15. The mysterious disappearance of the 62-year-old social activist and winner of one of Asia's most prestigious international awards, the Ramon Magsaysay Award, is inevitably being paired with the expulsion eight days earlier of Ms Anne-Sophie Gindroz, the head in Laos of Swiss development agency Helvetas. On Dec 7, Ms Gindroz was given 48 hours to leave, after she wrote a letter - scathingly critical of the Lao government - to development partners. 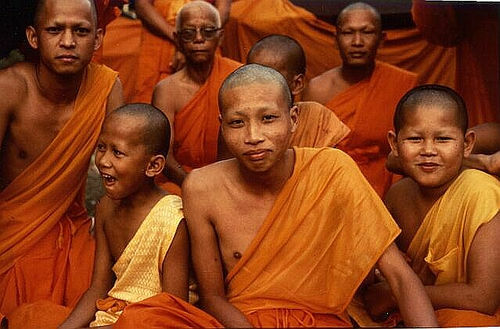 Taken together, the two incidents shine an unaccustomed light on Laos, a country too often seen only through the prism of tourists as a laid-back pastoral backwater of tropical Asia. developed country status and only just joined the World Trade Organisation (WTO). But two foreign professionals working in development in Laos told The Straits Times that her letter had appeared deliberately provocative, to the point of inviting expulsion. The letter, penned after Helvetas was not invited to the government-hosted annual Round Table Implementation Meeting of Non-Profit Associations last month, was titled "Personal Letter to Development Partners", but carried the Helvetas letterhead - and immediately became public. Ms Gindroz wrote: "We are working in a challenging environment: This is a country governed by a single-party regime, where there is little space for meaningful democratic debate and when taking advantage of that limited space, repercussions often follow. "Although allowable under the Lao Constitution, real freedom of expression and assembly are not afforded, and those who wish to exercise their constitutional rights and dare to try, often do so at their own peril faced with intimidation, false accusations and increasingly unlawful arrest. The media is censored and people are forbidden to hold peaceful assembly/ demonstration. Even in (Myanmar), this is no longer the case." The two-page letter went on to sketch a dilemma for civil society organisations in Laos. 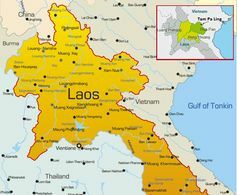 Laos was given membership status in the WTO in October, a key step in bringing it in sync with the rest of Asean and integrating it into the global economic system. The dissonance between such progress and Ms Gindroz's expulsion and the disappearance of Mr Sombath is apparent. In 2007, Mr Sompawn Khantisouk, owner and manager of an eco-tourism lodge, vanished. Many thought his disappearance was because he had tried to mobilise local opinion against Chinese plantation investments. He has not been seen since. Observers in Laos say it is no coincidence that the expulsion of Ms Gindroz and the disappearance of Mr Sombath came after the Asia-Europe People's Forum, held in October in conjunction with the Asia-Europe summit in Vientiane. Mr Sombath had helped organise the forum, and Ms Gindroz also participated. The two cases have sent a chill through civil society organisations in Laos. The government is deliberately building up economic bubbles. The aim is to win nationwide popular support ahead of a grand design for national reconciliation and a wholesale rewrite of the Constitution. A combination of debt-based consumption and populist economic programmes is designed to prop up the economy, hard hit by the deteriorating external account as a result of dwindling exports. But the whole plan will also lead to bubbles that pose great danger to the Thai economy in the years ahead. Bubble #1: The first-car policy has created artificial demand for automobiles, particularly among middle- and lower-income people. Auto sales are likely to hit 1.43 to 1.45 million units this year. This represents a growth rate of 63 per cent over last year and 114 per cent over 2010. If the economy were to face a sudden downturn next year, many first-time buyers taking advantage of the rebate will not be able to pay the monthly installments. The government will lose Bt80 billion in tax rebates as each buyer will be entitled to a refund of Bt100,000. Instead of accelerating mass transit systems to reduce costs and alleviate traffic congestion, the government promotes a huge bubble in the automobile sector. National fuel bills will rise to further undermine the country's balance of payments. Bubble #2: Retail sales are likely to grow 15 per cent this year and 38 per cent over the 2010 figure. Bubble #3: Real estate expands 53 per cent this year. 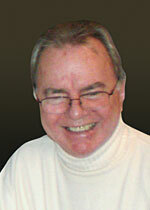 A real estate boom creates both economic and financial bubbles. Most economies, including Japan, the US and Spain, among others, are suffering severe pain in the aftermath of the bursting of their real estate bubbles. Thailand is travelling down this route. Bubble #4: Mortgage lending by the commercial banks jumps 32 per cent this year. A construction boom and real estate boom go hand in hand with a mortgage lending boom. Bubble #5: The advertising industry grows 53 per cent this year as a result of buoyant domestic demand. Bubble #6: The rice price pledging programme represents another huge bubble. Last year this price pledging programme cost the government Bt376 billion. And the government is now sitting on a massive overpriced rice stock of 10 million tonnes. This year the cost of implementing the programme will rise to Bt432 billion as the government continues to buy "every grain of paddy" from farmers. Bubble #7: The subsidy scheme for first-home buyers will cost the government Bt12 billion in revenue loss. Bubble #8: The three-year debt moratorium programme will cost the government Bt1.5 billion a year. Bubble #9: The minimum wage of Bt300 per day will be implemented nationwide starting in January. This policy will hurt small and medium-sized enterprises the most and does not take into account the different level of economic development in each region. Bubble #10: Corporate income tax has been slashed from 30 per cent to 23 per cent. This will lead to government revenue loss of Bt52 billion this year. Next year corporate income tax will fall further to 20 per cent, resulting in government revenue loss of Bt74 billion. Bubble #11: Personal income tax has been slashed to promote consumption. This will result in a loss of revenue of Bt32 billion next year. Bubble #12: Trying to holding down inflation, the government continues the foolish policy of oil subsidy. The diesel subsidy will cost the government Bt90 billion this year. Bubble #13: Free computer tablets for school kids will cost the government Bt16 billion this year and Bt12 billion next year. Bubble #14: Raising the salary scales of government officials and part-time officials will cost Bt18 billion this year and Bt23 billion next year. Bubble #15: PM Yingluck Shinawatra's many foreign trips hardly have any benefit for the country. They are also bubbles. F-35: Still on Asia’s Radar? Could Vietnam be in Play? Thailand’s Abhisit Indictment: Political ploy? Is Democratic Government in Decline? India and population growth-2CN or not 2CN? China and the Rise of the Xi–Hu coalition? How did Hong Kong's Oligarchs Get so Rich?